Musician Sting has joined the fight to save General Motors’ Oshawa Assembly plant northeast of Toronto. The multiple Grammy winner and the cast of his musical, The Last Ship, will be in Oshawa on Thursday to perform at the city’s Tribute Communities Centre. The musical is currently playing at the Princess of Wales Theatre in Toronto. Unifor is paying the cost to rent the Oshawa facility while Sting and the cast will perform at no cost, a union spokeswoman said. The Last Ship is set in the shipbuilding community in Tyne and Wear, U.K., and tells the story of a young man who returns home after seventeen years at sea. But, he suddenly finds the local shipyard, around which the community has always revolved, is closing and no one knows what will come next. 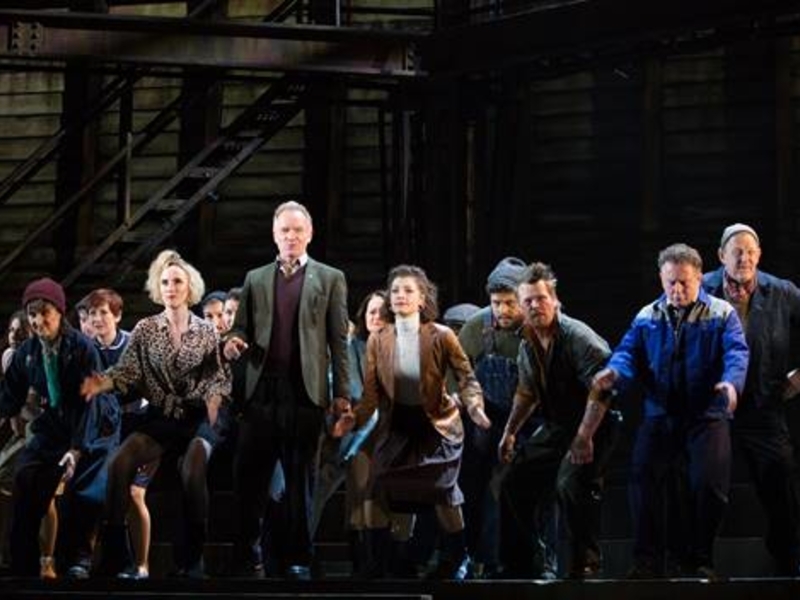 “This new musical tells a similar story to what is threatening to happen in Oshawa, with the potential demise of the GM plants that employ thousands of people,” the union Unifor said in a statement announcing the performance. Unifor represents about 2,600 hourly employees at the Oshawa plant slated for closure at the end of 2019. Oshawa, which runs at 30-per-cent capacity, produces about 250 Cadillac XTS and Chevrolet Impalas cars daily on a single shift. The plant also finishes assembly of outgoing models of the GMC Sierra and Chevrolet Silverado trucks, which are shipped to Oshawa from a plant in Indiana. It produced 450 of the pickups daily over two shifts. GM said in November it plans to end all production at the longtime Oshawa plant at the end of 2019. The automaker will no longer sell any of the vehicles currently produced in Oshawa. Sting not only wrote The Last Ship, which is based in his hometown, but also stars in the Toronto production as the leader of the protest featured in the play. “With the departure of shipbuilding from his hometown, Sting witnessed first-hand what becomes of workers and their families when the core industry is ripped away,” Unifor President Jerry Dias said in a statement.